You never know what may set me off. 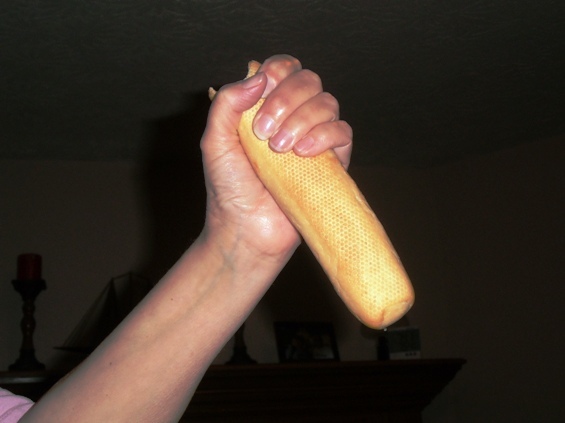 Over this past weekend, it was a bread stick. Specifically a bread stick that came with my soup and salad. I took one bite of it and didn’t like it at all. It was too hard and had absolutely no taste. Which immediately made me think that there had to be numerous other uses for said bread stick. First using only table available items, I made a beautiful art object using the bread stick, a curly French fry and a cherry tomato and topped the whole thing with sugar for a nice glittery effect. The fact that I did this on top of my daughter’s glass of coke was not appreciated but it wasn’t like she couldn’t drink it with a cherry tomato floating in it, for heaven’s sake. And then there was the whole “Psycho” drama. Doesn’t take much for me to act that whole shower scene out. Including the “wrent, wrent, wrent” sound effects that so make the whole thing much more believable. The kids left early (they tend to take two cars when we go out to eat). Michael says it is because I play with my food but I know better – they just want to make absolutely sure they avoid having to pay anything. I mean, we keep telling the waitress that they left without paying and the waitress still keeps adding their meals to our tab. As my husband and I got ready to leave, I had an epiphany – one of those rare moments of insight that you immediately just know would be a GREAT IDEA. I grabbed the brea d stick, wiped off the sugar, wrapped it up in napkins and shoved it in my purse. That evening, I took it and placed it in my daughter’s bed under her sheets. 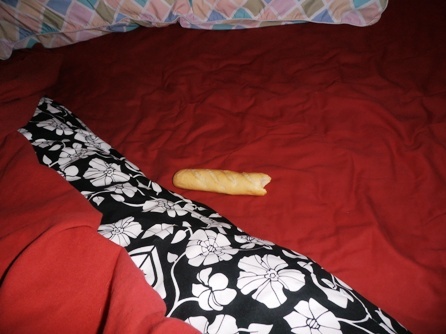 My children may not ever remember that their mom did normal mommy things when they were growing up, but they sure are going to remember when their mom hid a stale bread stick from a restaurant in their bed, right? I decided enough was enough. Although Christina’s birthday is next month…maybe can paint it.